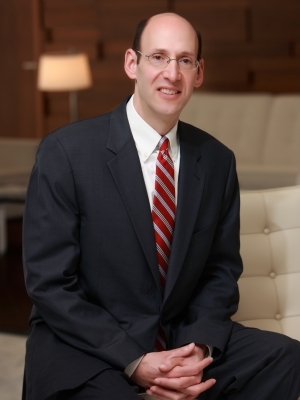 John B. Greenberg represents corporate clients in commercial transactions and litigation involving intellectual property, advertising, information technology, antitrust, and real estate matters. John regularly advises clients on matters pertaining to the protection of trademarks, copyrights, and trade secrets; advertising; defamation; online privacy and other Internet-related matters; publicity rights; other technology software development and licensing; and antitrust. He has also served as lead counsel in numerous intellectual property, advertising, real estate, and other business disputes. John's peers have selected him for inclusion in The Best Lawyers in America® 2016-2019 and is AV® Preeminent™ Peer Review Rated by Martindale-Hubbell. Successful defense of a false advertising action brought to shut down a trade organization's "board certification program." Successful prosecution of an injunction action brought by a national software company to stop a third party from using and licensing a knockoff of its copyrighted software. Successful prosecution of an injunction action brought by a national restaurant franchisor to preclude a terminated franchisee from continuing to use its trademarks. Successful prosecution of a false advertising action that sought to prevent an online publication business from continuing to conduct a promotional campaign. Successful defense of a trademark infringement action that sought to block a major licorice manufacturer from continuing to market its only product. Successful defense of an action by a licensee of a major collegiate organization that alleged the organization had wrongfully failed to stop a competitor of the licensee from using the organization's trademarks. Successful defense of a trade secret misappropriation action that alleged a real estate developer had constructed part of a commercial mall using the plaintiff's proprietary designs. Successful defense of a false advertising action that sought to block the nationwide launch of a paint product into the marketplace.